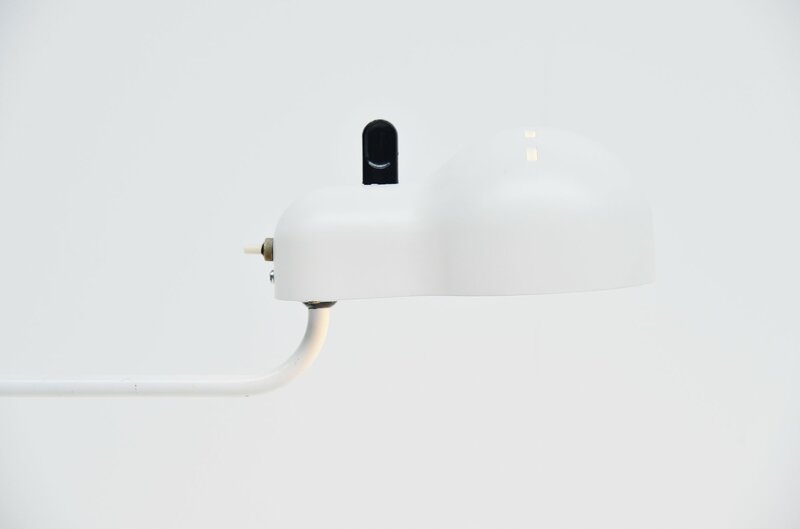 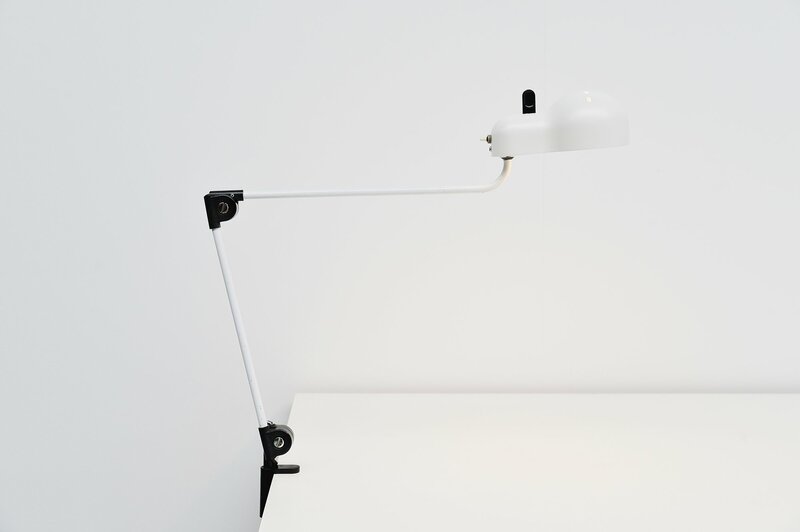 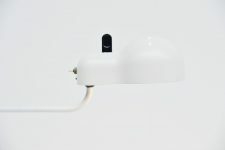 Desk clamp lamp model Topo, designed by Joe Colombo and manufactured by Stilnovo, Italy 1969. 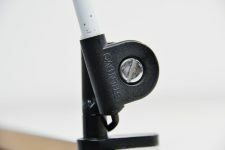 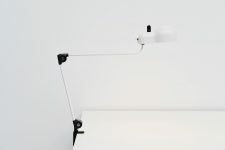 This lamp has a clamp mechanism to attach to you desk or table. The lamp is adjustable in different positions for different uses. 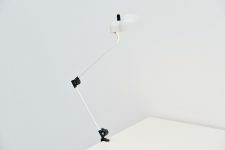 The arm is made of white painted metal and the shade is well, it has black plastic details. 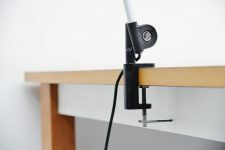 Signed with Stilnovo on the base. 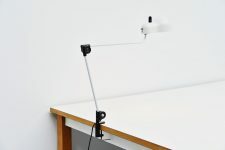 Very nice and functional desk lamp for multiple uses. Uses a E27 bulb op to 100 watt.